Reader Miroslav Balous of Prague has provided this extremely interesting and hitherto unpublished photograph of a Heinkel He 162.4-2 in the Soviet Union during Soviet evaluation of this aircraft in the winter of 1945-46. An illustration of the first production example of the de Havilland G.2 glider built in Australia. 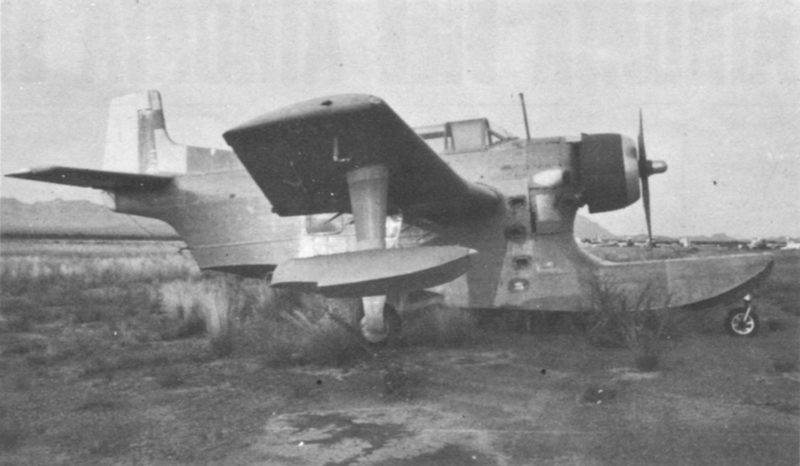 Compared with the prototype, the production model had a revised wing outline, as shown here, with no taper on the inboard panels. Another small change concerned the cabin windows, which were square instead of round. Shown taking off on its delivery flight from the BAC Military Aircraft Division airfield at Warton on 4 September 1972 is the final Lightning 53 for the Royal Saudi Air Force, delivered as a replacement aircraft and among the last new Lightnings to come off the production line pending possible further orders. A photograph of the Columbia XJL-1, supplied by Neil C Aird of Kingston, Ontario, showing its appearance in September 1968, at the Ryan Airfield, Tucson, Arizona. This is the second of the two prototypes, while the first is now undergoing restoration in Baltimore, Maryland.